Thanks to all of you that attended my Seattle Robotics Society presentation of High Reliability Systems. The slide deck is now available in the Research & Presentations section. As 2015 comes to a close, CyberData would like to thank everyone that has helped to make this another great year! Reading through this I also realized that in 2016 CyberData will be clebrating 20 YEARS in business - my has the time flown!! A special thank you to all of you that I have worked with over the years!! I would also like to announce that I (Lloyd) will be presenting the High Reliability Systems talk at the January 16th Seattle Robotics Society meeting. Please feel free to come down and say hello! Robothon 2015 is rapidly approaching!! I would like to invite everyone to join me at the Seattle Center in Seattle Washington for a day of robotics. Details on the event can be found at Robothon.org. I would like to thank everyone that attended my Northwest C++ User Group and Seattle Robotics Society presentations on High Reliability Systems and Raspberry Pi Robotics. The presentation materials have been updated, and a video is now available in the Research & Presentation area. I would like to thank everyone for helping make 2013 ANOTHER great year for CyberData!! This was a very busy year for us, and we are a bit behind on our open source release, but we'll let the cat out of the bag. Early in 2014 we plan to release an open source expansion board for the Raspberry Pi. This board will connect to a Pi via the expansion header, or any other type of computer using a USB connection. The board will carry a 100 pin PSoC 3/5 device, RS-232/485 transceiver, motor controller, protected I/O and 3 PMOD connectors. The board is intended to allow the Pi to be used as the primary controller for a medium complexity robot as well as general experimentation. This board open source for all non-commerical applications! Stay tuned in the new year for additonal details and the actual release. I would like to thank everyone that attended my Northwest C++ User Group and Seattle Robotics Society presentation on Real Time Debugging Techniques. The presentation materials have been updated, and a video is now available in the Research & Presentation area. A new section added to the web site, the Project Showcase. For those of you that are interested in the various types of consulting projects CyberData undertakes, feel free to browse around in this section. While we won't list everything we do, as we cannot disclose some of it, I will update it regularly with those projects that can be discussed in public. CyberData Corporation was founded by Lloyd Moore in 1996. 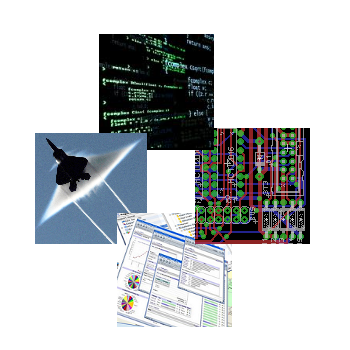 CyberData specializes in providing custom software and hardware solutions for robotics, machine vision, embedded systems and industrial automation applications. Our mission is to create high quality, innovative technology for the global marketplace. CyberData also conducts internal research into the areas of robotics, machine vision and artificial intelligence. Specific technologies are then either licensed, sold as products or released as open source, depending on the specific nature and goals of the project. Technological developments are also provided directly to our clients through our consulting services. The combination of consulting services with research gives CyberData a unique advantage in developing practical, cutting edge technologies to solve real world problems, in an economical manner. Our services currently benefit clients worldwide. Industrial automation and robotics technology is rapidly evolving. Make sure you have the latest automation technology.